When I started Danganronpa: Trigger Happy Havoc on the PlayStation Vita, I immediately noticed a strong 999/Virtue's Last Reward vibe. 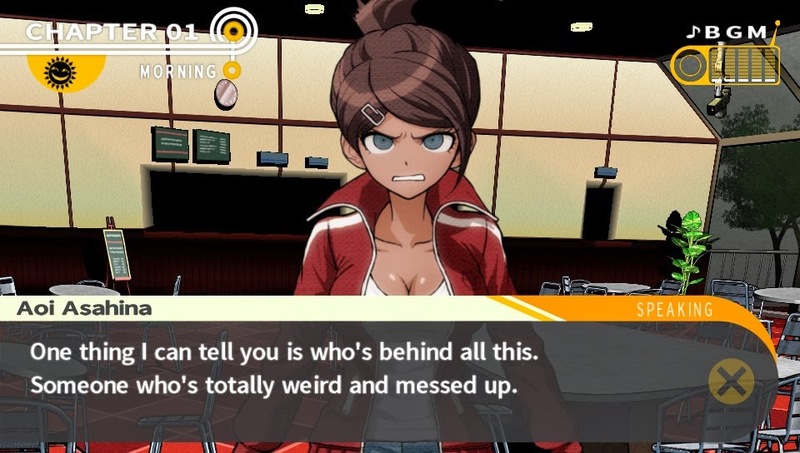 That's somewhat understandable as all three games were developed by Spike Chunsoft, but Danganronpa quickly proves that it's not just a Zero Escape game with a new setting. 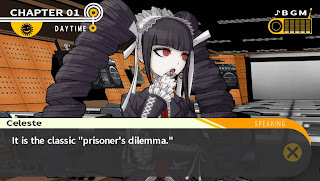 While it does still feature a prisoner's dilemma setting, this adventure game also shares many similarities with the Ace Attorney series as players have to investigate murders and uncover the truth behind the crimes during trial segments. As someone who really enjoyed both of the Zero Escape games, Danganronpa felt both familiar due to its darker setting, yet fresh at the same time. NIS America made the right call in bringing this one over. 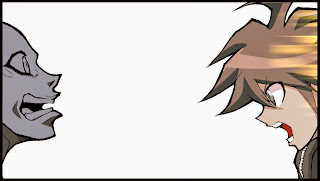 The story begins with the main character, Makoto Naegi, receiving an invitation to an elite school known as Hope's Peak Academy. This school is seen as a bastion of hope for humanity, accepting only the most exceptional students, so Makoto is somewhat overwhelmed by the invitation. He describes himself as being the most average, ordinary student possible, so he feels unworthy to join the likes of the Ultimate Pop Sensation or the Ultimate Baseball Star. Despite this, he counts himself fortunate to have been selected as the Ultimate Lucky Student, having been picked out of a huge pool of applicants via lottery to join. 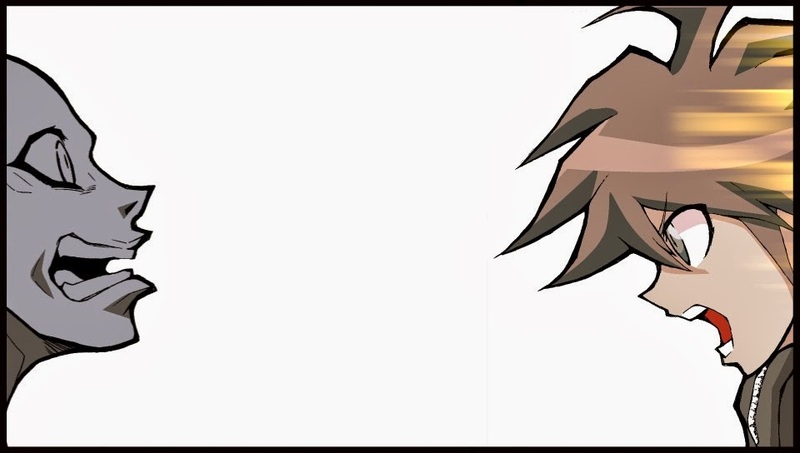 Makoto quickly finds that he is not as lucky as he thought, as this school is not the joyful experience he expected, but instead a place of ultimate despair. 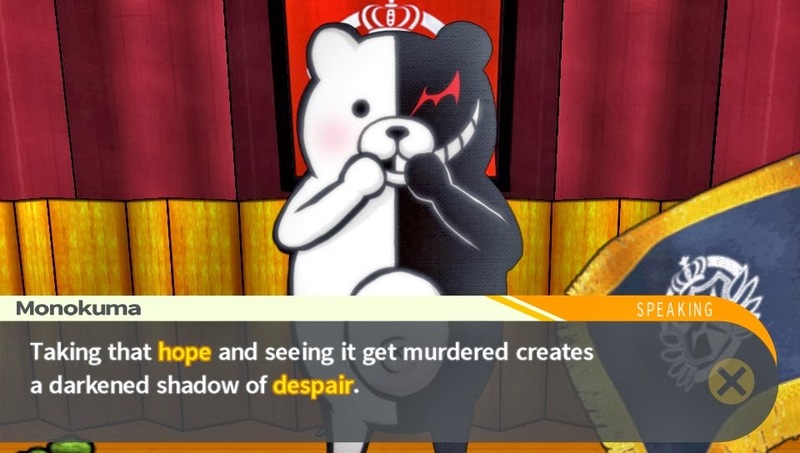 Makoto and a group of fourteen other students find that they have actually entered into a demented game of life and death, as they are greeted by the self-proclaimed headmaster of the school, Monokuma. This cheerfully evil bear welcomes the students to Hope's Peak and informs them that they are to live out the rest of their lives within the secluded walls of the school. As the students are not thrilled by this prospect, Monokuma happily informs them that if one student is able to kill another without being discovered, that student alone will "graduate" and be allowed to leave. 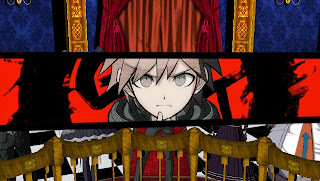 With that macabre proclamation, Danganronpa begins. It may sound cliché, but I've not been able to put Danganronpa down. The school setting reminds me a lot of Persona 3 and 4, but with a twist of the aforementioned Zero Escape series. While the cast might seem like a collection of stereotypes, it becomes clear that these characters are deeper than they appear on the surface. Makoto learns this early when the first student is murdered. The attempt to unite against despair and find a way to escape is slowly crushed by the fear of being trapped forever within the halls of Hope's Peak. Headmaster Monokuma informs the students that they will be able to investigate for a brief period before going to trial. The group must uncover what really happened and reveal the murderer or risk being executed themselves. Gameplay in Danganronpa is divided into three parts. First is daily life, where the player explores Hope's Peak with the other students as they try to find a way to escape the mysterious school. During these parts, Makoto can spend time with other students to learn more about them and forge friendships. The second part is investigation section that takes place after a murder. 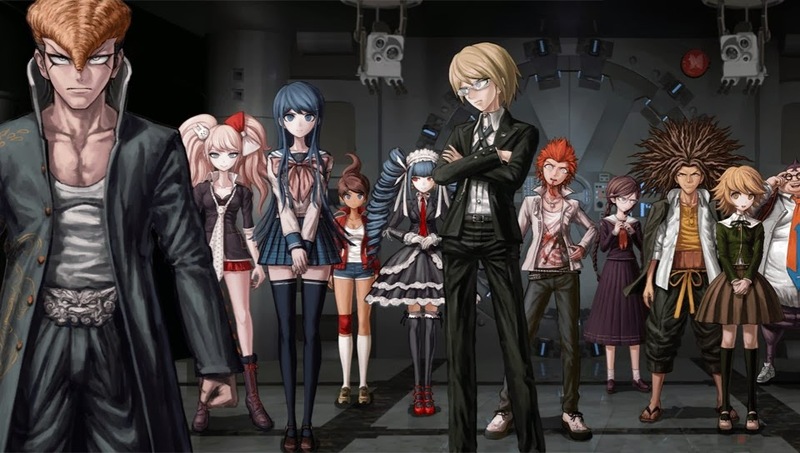 Here, players examine a crime scene in preparation for the class trial. Makoto must gather clues and testimonies to help unravel the mystery of the murder at hand. These two parts are slower paced and lead into the final, more action-focused section: the trial. The trial itself is more action oriented. In these segments, players must put all the pieces together and find the killer, but this takes place during a multifaceted, fast-paced trial. 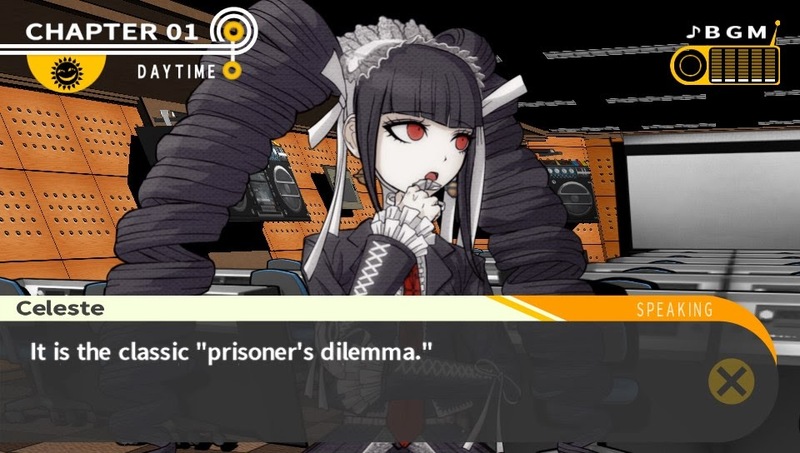 Makoto takes the lead and picks apart misconceptions about the crime in real-time before having to piece the entire event together using the clues found in the prior segment. Despite the fail state being very forgiving, it's very intense trying to successfully uncover the truth of the situation. Things are rarely as they seem, so lots of twists and turns occur during the course of a single trial. 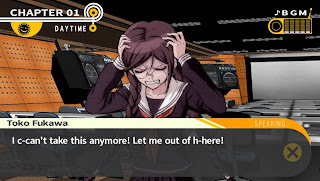 I'm currently on Chapter 4 having just begun the trial segment, and I can say that the story is the best part of Danganronpa. Each character has their own distinct personality, and you can easily become attached to them, which makes it hard when one of your favorites is killed or you suspect them of being a murderer. The investigation and trial segments build perfectly upon the desperation of being trapped within the school with no hope of escape. 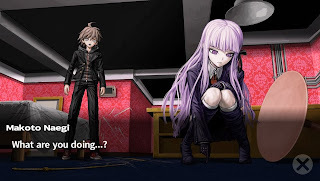 Even outside of the murders, this helps create a level of suspense and mystery about the entire event that constantly lingers over the player's head. Each of the students puts on a good front, but in the end you can feel the sorrow building and begin to realize that there is no one in Hope's Peak you can trust completely. 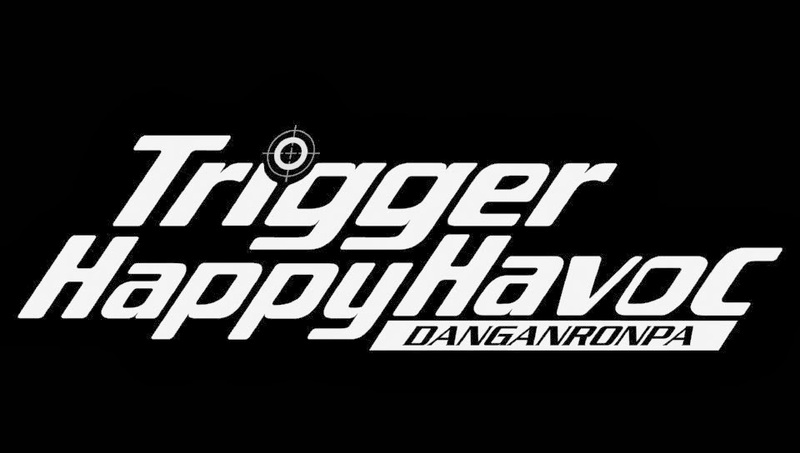 Initially released on the PSP, Danganronpa is currently a two game series with lots of other media tie-ins in Japan. I wasn't really sure what it was all about before firing it up, as it might give the illusion of a visual novel, but the game is much more about exploration and investigation than simply reading what happens next. 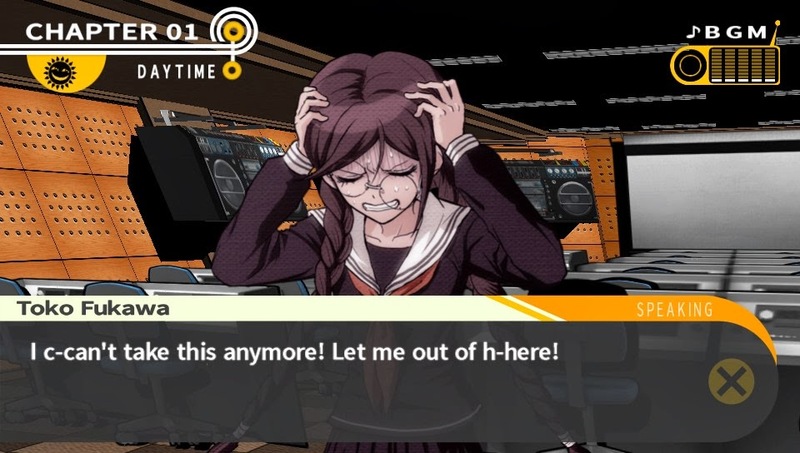 My comparison of it being a mix of Ace Attorney and Zero Escape doesn't really even do the game justice, as Danganronpa feels more original than that. That said if you like either of those series, I highly recommend you check this one out. It's a fantastic game that I've not been able to put down. Had it released in 2013, it would easily be in my top five games of the year. Recommended? Yes. It might be predictable, but is still a fantastic experience. Enjoyed By? Anyone interested in a twisted story with lots of dark turns. Think Phoenix Wright meets 999. This game was played on Vita via a review copy supplied by the publisher.